This was one of the ARC’s I received when I attended BEA09 back in May. I know, it’s taking me forever to post these. This is the second review of a BEA book, the first was Pingo. 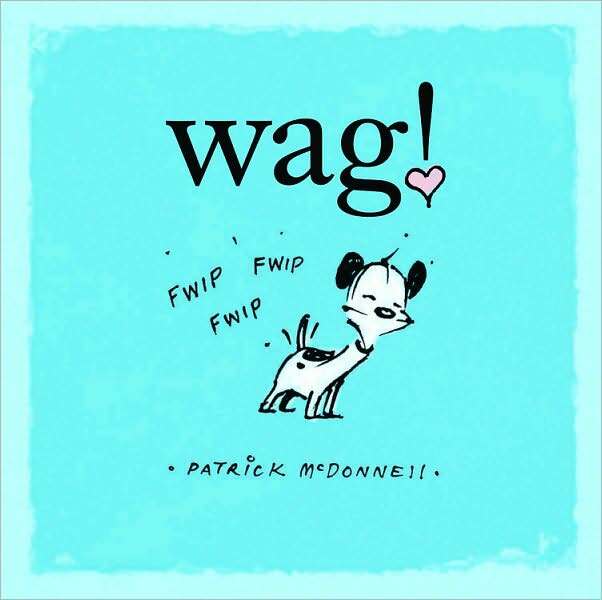 Wag is due out in October 2009. There are few things that get a universal happy response from small children like puppies and kittens. I’ve never seen a member of The Picture Book Set resist a book that features them. This does not mean that every book featuring puppies and/or kittens is GOOD. Kids might like them, but the adults doing the storytelling might find them excruciatingly dull. Come on, grownups. We’ve all read a book to munchkins that they fell out over, but we nearly fell asleep 2 pages in. We’ve all been there. So here is a delight for kids AND for grownups. 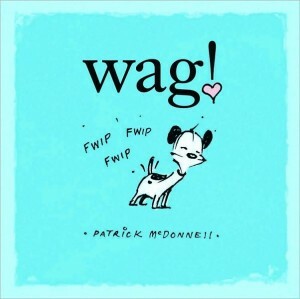 Patrick McDonnell’s Wag, featuring Earl and the gang from his MUTTS comic strip, is just fun. It’s entirely about the joy Earl finds in wagging is tail. He wags it for snowflakes, for belly rubs, for friends, and just because. But why does his tail wag? We find out at the end, and it’s really very sweet. The illustrations are sure to delight little kids, and adults will find it charming. It’s a true example of how the simplest joys can make us happy. I dare you not to smile with this one.